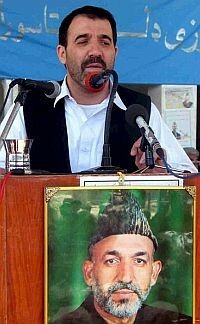 Ahmed Wali Karzai, brother of Afghan president Hamid Karzai (pictured) is reportedly on the American payroll. Ahmed Wali Karzai, brother of the Afghan president, "a go-between between the Americans and the Taliban," and "a suspected player in the country's booming illegal opium trade," the New York Times informs us, "gets regular payments from the Central Intelligence Agency, and has for much of the past eight years." This unsavory news has many negative implications about Hamid Karzai's presidency; the one that interests me most is how it confirms his status as a kept politician, a leader who enjoys his present position due to foreign backing. Karzai is hardly the Middle East's only kept politician; others that come to mind include Iraq's Nuri al-Maliki, Lebanon's Saad Hariri, and the Palestinian Authority's Mahmoud Abbas. Of note: Washington kept no politicians in 2000 but now has four of them. Some kept politicians eventually do establish their own rule and legitimacy — the Jordanian monarchy has been on its own since Glubb Pasha's dismissal in 1956. Usually, however, they fail: This was the fate of the Iraqi monarchy in 1958, the last shah of Iran in 1979, Anwar Sadat in 1981, the People's Democratic Republic of Yemen in 1990, and the Democratic Republic of Afghanistan in 1992. Feb. 13, 2010 update: In a statement of stunning arrogance and myopia, the top American commander in Afghanistan, Gen. Stanley A. McChrystal, has announced that "We've got a government in a box, ready to roll in." Talk about a kept government! lost faith in the Americans and NATO to prevail in Afghanistan, … Mr. Karzai has been pressing to strike his own deal with the Taliban and the country's archrival, Pakistan, the Taliban's longtime supporter. According to a former senior Afghan official, Mr. Karzai's maneuverings involve secret negotiations with the Taliban outside the purview of American and NATO officials. "The president has lost his confidence in the capability of either the coalition or his own government to protect this country," [former director of the Afghan intelligence service, Amrullah] Saleh said in an interview at his home. "President Karzai has never announced that NATO will lose, but the way that he does not proudly own the [anti-Taliban] campaign shows that he doesn't trust it is working." People close to the president say he began to lose confidence in the Americans last summer, after national elections in which independent monitors determined that nearly one million ballots had been stolen on Mr. Karzai's behalf. The rift worsened in December, when President Obama announced that he intended to begin reducing the number of American troops by the summer of 2011. Comment: The gig is up: the thousand American lives lost and uncounted billions of dollars spent in Afghanistan have been for naught. 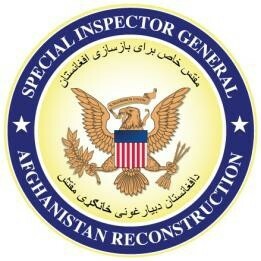 June 29, 2010 update: Afghans not believe in the American effort – and Americans doubt Afghan abilities, according to a report by the special U.S. inspector general for Afghanistan reconstruction, "Actions Needed to Improve the Reliability of Afghan Security Force Assessments." A Washington Post article sums up the report: "The U.S. military has systematically overstated or failed to adequately measure the capabilities of Afghan security forces, whose performance is key to the Obama administration's exit strategy for the war, according to a new government audit. Efforts to prepare and equip Afghan forces are also plagued by a shortage of U.S.-led coalition trainers and mentors and a corrupt and inadequate Afghan logistics system." July 5, 2010 update: More good news: "US Cuts Aid After Millions Siphoned Off to Dubai" writes Susanne Koelbl of Der Spiegel. Billions of dollars are being secreted out of Kabul to help well-connected Afghans buy luxury villas in Dubai. Amid concerns that the money could be the result of corruption, American politicians have temporarily cut off aid to the Afghan government. The money leaves Afghanistan by plane in boxes and suitcases. According to some estimates, since 2007, at least $3 billion (€2.4 billion) in cash has left the country in this way. The preferred destination for these funds is Dubai, the tax haven in the Persian Gulf. And, given the fact that Afghanistan's total GDP amounts to the equivalent of $13.5 billion, there is no way that the funds involved in this exodus are merely the proceeds of legal business transactions. Since invading Afghanistan in 2001, the United States alone has invested almost $300 billion in military and reconstruction efforts there. But far less progress has been made than what was either hoped for or expected. One major reason for this could be the fact that a significant portion of the millions meant for reconstructive efforts continue to be siphoned off. The people benefiting are often those who enjoy extremely close business ties with the donor countries. It is clear that much more money is making its way out of Afghanistan through Kabul's airport than is being officially declared and logged. For example, important politicians and businesspeople can often board planes from the airport's special VIP area without being searched. And if customs officials do conduct a search and find a suitcase stuffed with millions of dollars in cash, people with powerful connections often step in to make sure that the luggage makes it out of the country with its owner—no questions asked. Comment: When a kept government rules, vast fortunes can quickly be made.